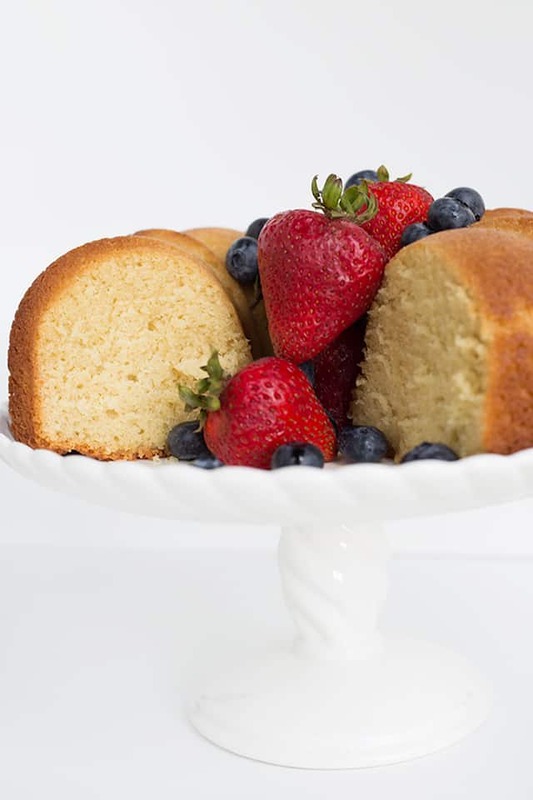 This buttery, vanilla pound cake recipe is perfect by itself or topped with fresh fruit. It’s the perfect dense cake without being dry. Bake it up in your favorite bundt pan for a show-stopping dessert. 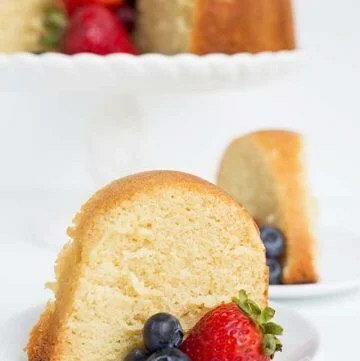 I absolutely love this pound cake recipe. It’s so delicious and a great recipe to add variations too. I also really love that it doesn’t require a glaze or frosting. Sometimes, I just don’t feel like going the extra mile to whip up a frosting. Is that hard to believe since I basically make frosting for a living? 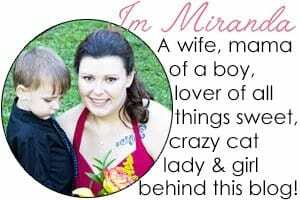 Well, believe it. 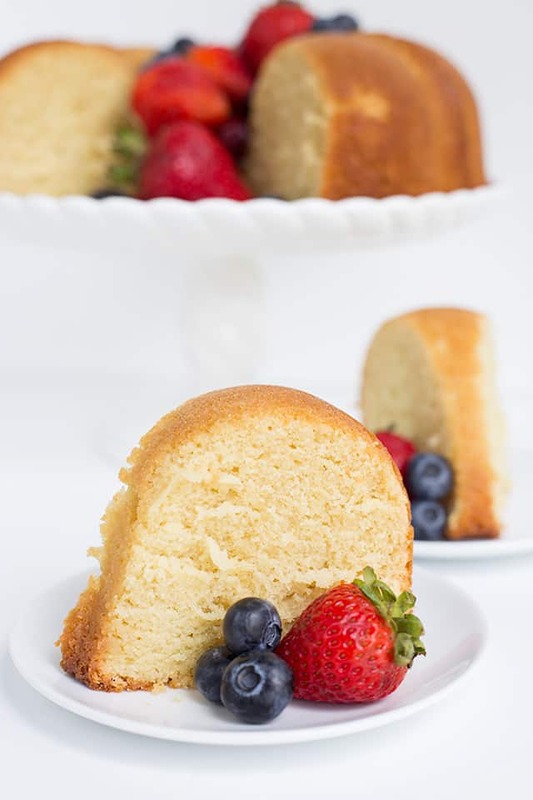 Having a great go-to pound cake recipe is a must! I think I nailed it with this vanilla pound cake! It’s great to top with macerated berries, icing, or just eat plain. I chose to eat it with fresh berries and my kid added a little Reese’s spread to his. Bundt pans can make anything look pretty, no matter how plain it is. There are a couple of important things to remember when using a bundt pan though. Always grease generously and flour the pan. If you’re making a chocolate cake, you can use cocoa powder instead of flour too. I’ve tried the cooking spray with flour added and some of the sprays work and some don’t. My go-to is the Baker’s Joy baking spray, but don’t inhale while spraying it. It will make you cough a lung up. 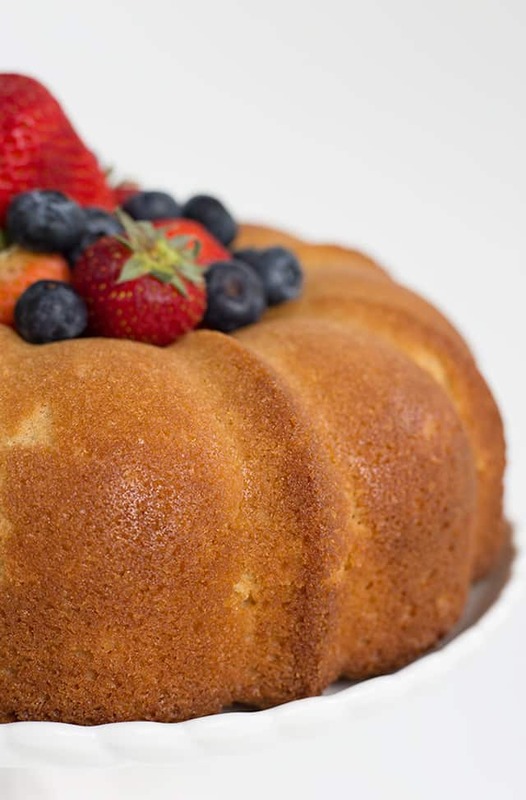 The second tip is to let the freshly baked bundt cake cool for 5 minutes before turning it out onto a cake plate. After it’s turned upside down, let it rest for 5 minutes upside down in the pan before you start tapping the pan. If it comes out before the 5 minutes are up, that’s even better. 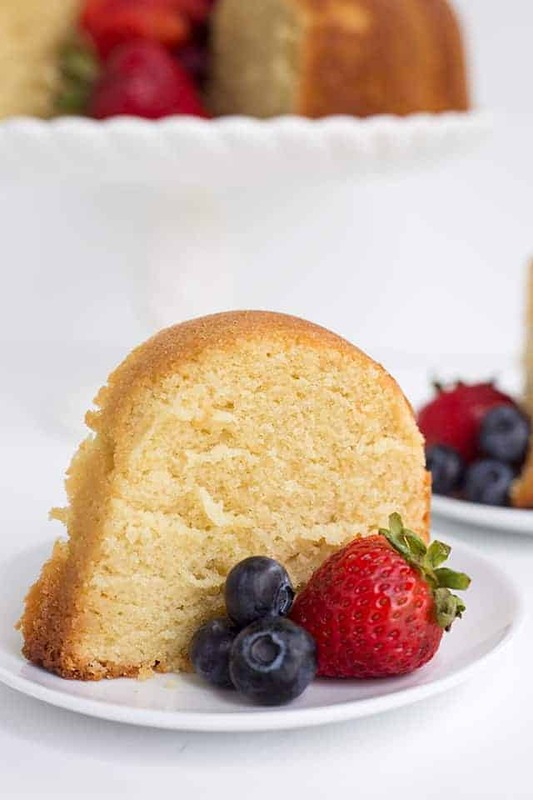 You can make different flavors of pound cake by adding extracts, zests, and fresh fruit. Lemon, lime, or orange – Instead of adding 1 tablespoon of vanilla, add 2 teaspoons of the flavored extract, 1 teaspoon of vanilla, and the zest of 1 lemon, lime, or orange. Blueberry, blackberry, or raspberry – Add 1 to 2 cups of fresh berries into a bowl with 1 tablespoon of flour. Stir to coat the berries and fold into the mixed batter before baking. Rum, maple, or caramel – Substitute the 1 tablespoon of vanilla with 2 teaspoons of flavored extract and 1 teaspoon of vanilla. Add more or less extract depending on how you prefer it. Ready to get more use out of your bundt pan? Preheat oven to 325 degrees. Grease and flour a 12-cup bundt pan. Tap out any excess flour. In a large mixing bowl, add butter and sugar. Beat on medium with a hand mixer until creamed. Add the vanilla extract and the eggs one at a time. Beat each egg in before adding the next. Scrape the sides of the bowl. In a separate bowl, add in the flour, baking powder, baking soda, and salt. Whisk to combine. Alternately add the flour and milk always starting and ending with the flour. I added the flour in 3 parts and the milk in 2 parts. Scrape down the sides and mix to combine. Pour the batter into the prepared bundt pan. Spread it out evenly in the pan using a spatula. Place into the oven and bake for 1 hour to 1 hour and 15 minutes or until a toothpick comes out clean. Let cool for 5 minutes and turn out onto a cake plate. Let it rest for another 5 minutes. 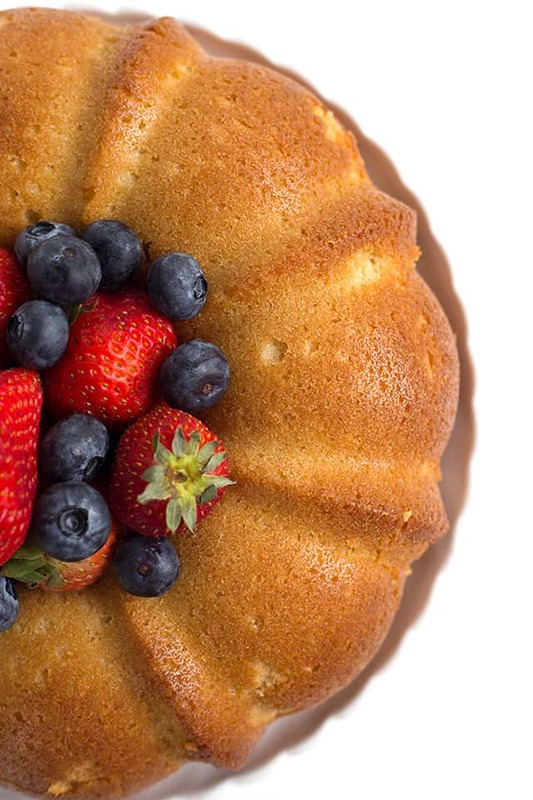 Tap the bundt pan with a knife to help loosen the cake from the pan. 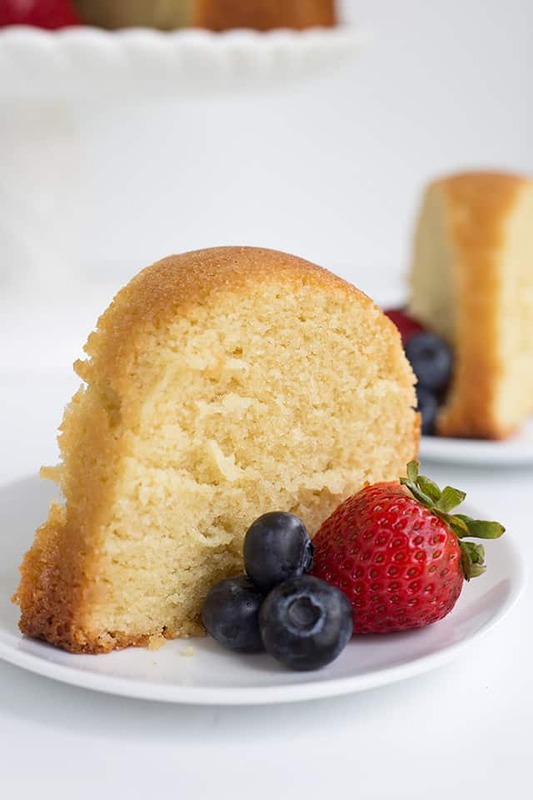 I posted this recipe for Pound Cake first on Yellow Bliss Road as a contributor. Can this cake be frozen? I’d love to make it, but it’s just my husband and me, so it would be nice to slice it up and freeze some pieces for later. If so, how would I do it? I haven’t done it myself but I don’t see why you couldn’t freeze it. I would wrap the slices in foil and place in a freezer bag. I can’t say how it turned out this is my first time making it wish me luck! What size eggs do you use in your cake recipes. Hey! I always use large eggs.